Liverpool in north-west England embarked on a career unprecedented in music history. The Beatles – as John, Paul, George and Ringo were known – created a new and unmistakable style of “beat music” and wrote a stream of imaginative, high-end, popular numbers. They succeeded – without the aid of today’s channels of music distribution – in thrilling hundreds of millions of music-lovers with their constant hits. Their fascinating melodic wealth has been endlessly referenced and re-interpreted. 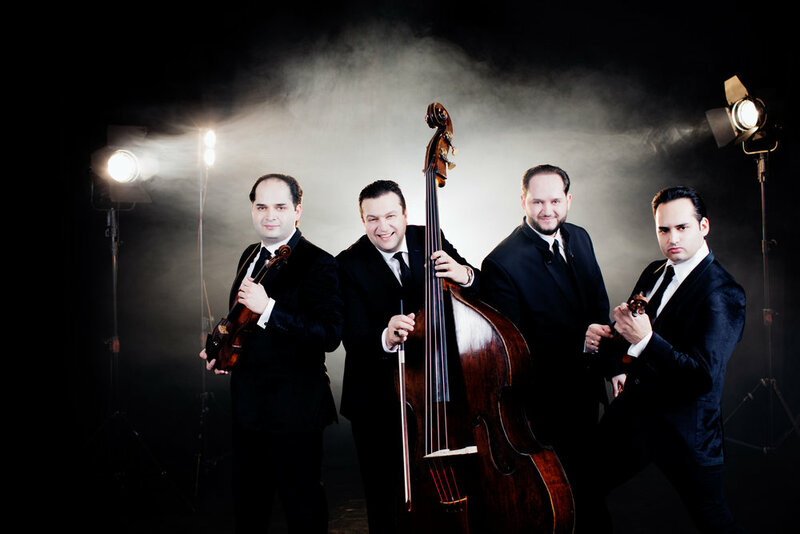 Today it is the four handsome young musicians of the Vienna-based Janoska Ensemble who have launched a world-spanning career with the new, unmistakably universal language of their Janoska Style, and now they are adding the Beatles to their multifaceted repertoire. It is the hallmark of the Janoska Ensemble that they forge surprising links between otherwise unrelated musical genres, new creations that satisfy the ear and the soul. Following its gold-status debut CD “Janoska Style”, the ensemble is now preparing the programme for its second album on Deutsche Grammophon, under the title “From Vienna to Liverpool. A Tribute to The Beatles”. Since the release on Deutsche Grammophon of the Janoska Ensemble’s debut album “Janoska Style”, that same Janoska Style has evolved into a brand and a guarantee of quality. The success of the ensemble is the proof. Since their CD presentation in 2016, these creative musicians have won the hearts of thousands of enthusiastic fans on four continents with their unique talent for combining different musical genres. Variations, improvisations and a stream of new musical settings make up their programmes. So it is no surprise that the four musicians are more than equal to the large-scale form: their first symphonic programme “Janoska Style goes Symphonic” takes it for granted that the breathtaking numbers on that gold-status CD belong on the concert platform. Sophisticated arrangements merge and separate the roles of orchestra and soloists in a sequence that could be spontaneous, so natural is it. Despite the written-out orchestral parts, the concerted playing always sounds flexible and free. If the orchestra takes a back seat for the four soloists, it soon returns in full force to take part in the stupendous Janoska Style. Nor does that apply just to the many fast numbers on the programme. Gentle “sweet treats” like the elegiac yearning of “Contigo della Distancia” shimmer above an enchanting backdrop of orchestral voices: Janoska Style in Cinemascope. A special distinction and an artistic indicator of the quality of these four musicians is the fact that a star conductor of the classical subject such as Ádam Fischer put his baton in the service of their music in spring 2018: Fischer conducted the Wiener Symphoniker in the Golden Hall of the Wiener Musikverein in front of an enthusiastic hall and live TV audience. As a highlight, he led the premiere of the first movement called "Bratislava" of the "Janoska Symphony op. 1" by František Janoska. In spring 2019, the Janoska Ensemble, together with Vienna Symphony Orchestra, will premiere the complete symphony conducted by Julian Rachlin at the Wiener Konzerthaus. 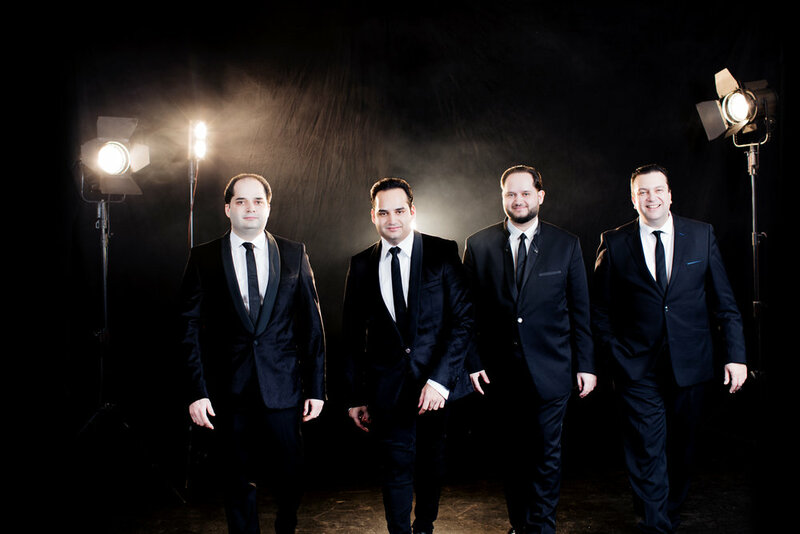 Recently-signed to the prestigious Deutsche Grammophon label, this genre-bending Vienna-based ensemble is comprised of four brothers - each of whom is a soloist in his own right, and includes two who are former members of The Vienna Philharmonic. Janoska infuses classical music with Jazz, Gypsy, Tango, Latin and a dash of Pop and has appeared at many of the world’s leading festivals and prestigious concert halls including New York’s Carnegie Hall, Sydney’s iconic Opera House and Vienna’s famed Musikverein, among numerous others.